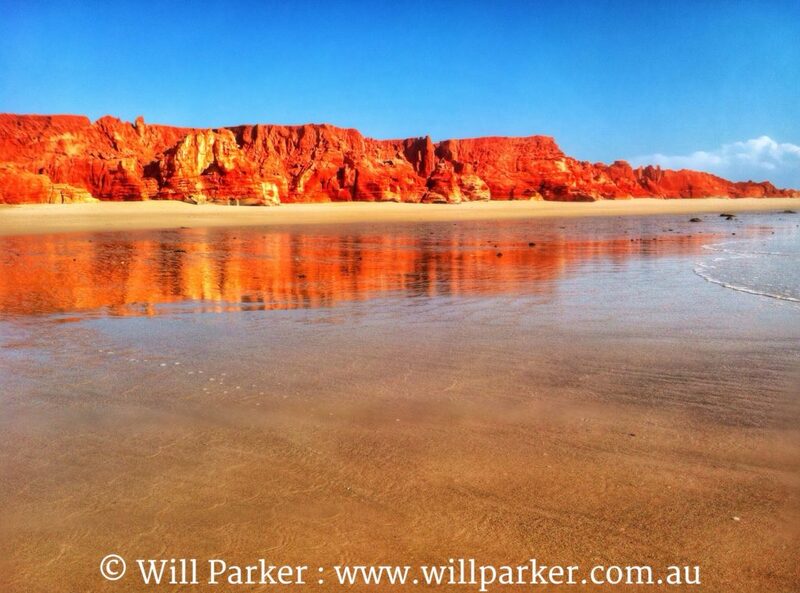 Complete Guide – Kooljaman At Cape Leveque, Australia’s Most Vivid and Spectacular Coastline. Reflecting the colours of Kooljaman. Stop worrying about the potholes and corrugations in the road and celebrate the journey. For it’s often appreciation of the journey that makes the destination memorable. The message is clear, the start of the track the first sign. 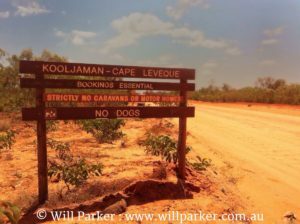 Kooljaman is the Bardi Aboriginal name for Cape Leveque. 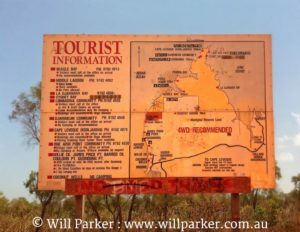 The Aboriginal word for heading north is “Ardi”. 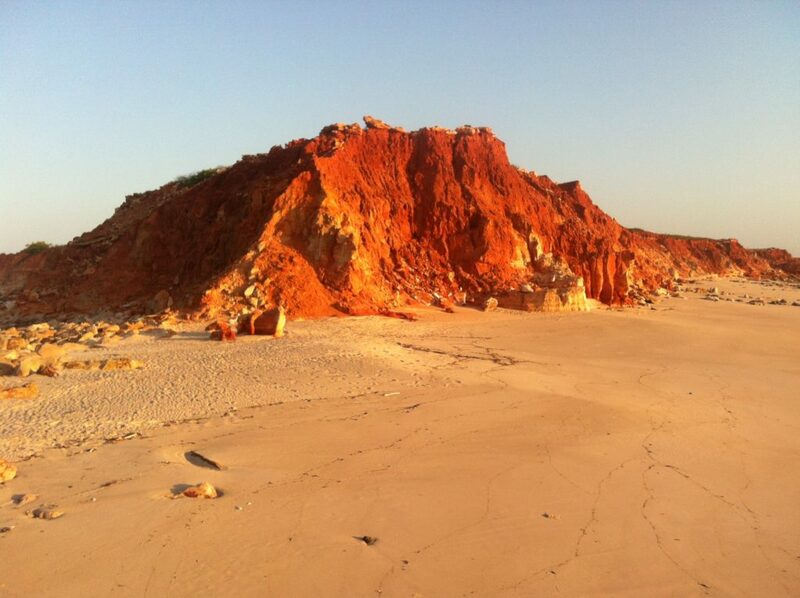 220km Ardi of Broome along a pindan gutter of a track is your chance to find a piece of the Kimberley. So rich in contrasts and vibrancy that it may take a while for your mind to catch up with what your eyes are enjoying. Not so many moons ago it was dirt all the way. The long dusty track is only dusty for half the distance as it once was, 90km to be exact. However the Cape road massage be it not as long is still a full body treatment. The journey is part of the adventure. Red earth, red dust, sunshine and warmth – there’s a rawness to this road that belies the beauty of where it is taking you. Kooljaman http://www.kooljaman.com.au/ is one of the most vibrant spectacular coastal environments in Australia. There are only a scattering if any that blend the elements as naturally or as stunningly. Few locations offer the sublime colour contrasts of Kooljaman. An exquisite composition of white beaches, pindan cliffs, blue skies, turquoise oceans and green bush. “What fills the eyes fills the heart” – Irish Proverb. If you only go once, this place might just find a little corner of your heart and nestle itself there. The Dampier Peninsula is located north of Broome. It is surrounded by the Indian Ocean to the north and west, King Sound to the east. 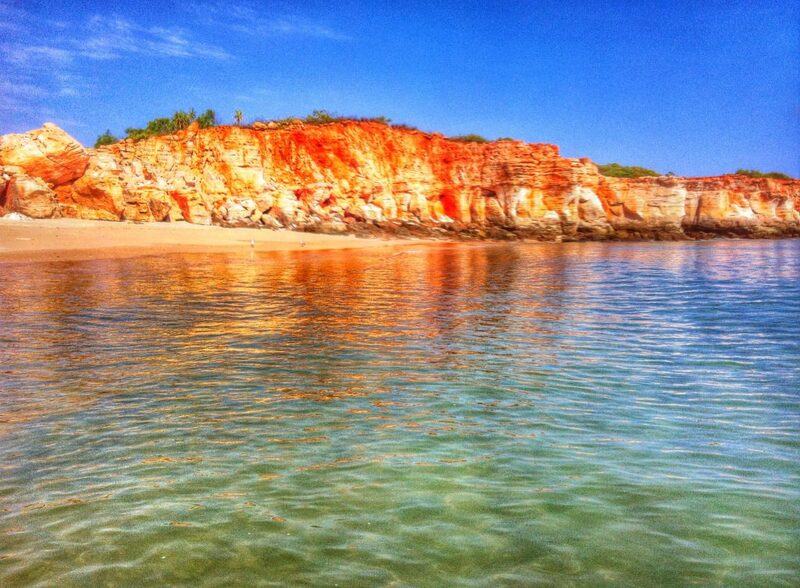 The northern most part of the peninsula is Cape Leveque. There is only one road that dissects straight up the middle of the peninsula to the Cape. 220km from go – woe with plenty of side tracks to other great locations. “Always take the scenic route”. 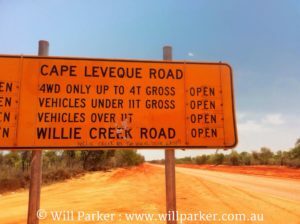 The turn off to the Cape Leveque road is 10km from Broome or 20km from the Roebuck Roadhouse. Top Tip: Note sure why Google rates it a six hour journey, the most conservative of drivers who drive straight through, no stops, will make it up in half that time, three hours. Top Tip: Day Visitors, a $5 entry fee (Day Walking Pass) is charged for day visitors, day pass expires at 5pm on day of purchase. An additional $25 fee is charged for vehicle entry, maximum 25 vehicles per day. 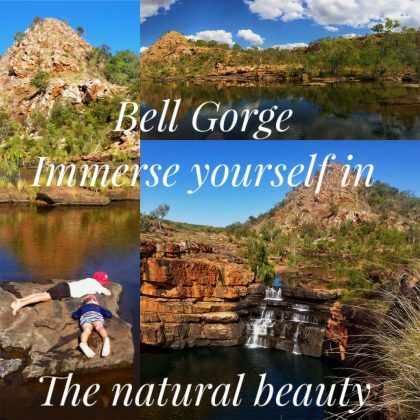 Adventure, relaxation, fishing, photography, Aboriginal culture, perhaps just curiosity or someone said don’t miss it if you’re up that way. Whatever takes you there you won’t be short of things to do. The landscape at Kooljaman has a pulse pumping through it, the colours are alive. Each element so bold and individual. 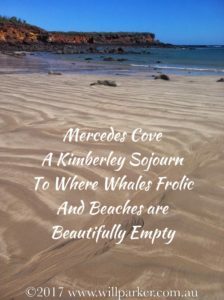 They would make a statement independently of each other, yet as a collective come together so well to shout out Cape Leveque. 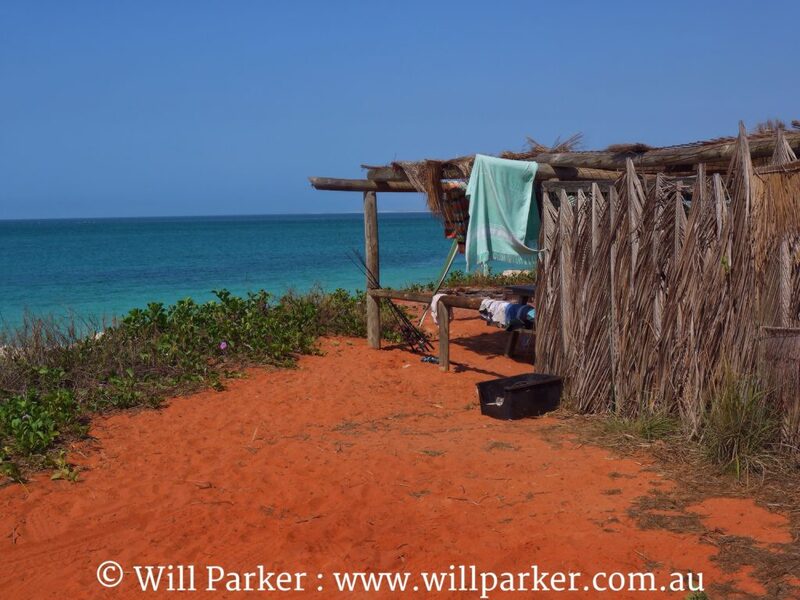 Western Beach, Kooljaman – Cape Leveque. The beach is where it’s at, at Kooljaman. Regardless of what else you find yourself doing, chances are the majority of your time will be spent on Eastern Beach. Western Beach is stunning, however this will be your late afternoon drinks and nibbles location. As the sun sets and the pindan cliffs glow and change colours with the sinking sun, a tour might be enjoyed – there are a few on offer. However as Kooljaman time slowly takes hold, lazy relaxed Kooljaman down time will be enjoyed spent swimming, lying, walking or snorkelling on Eastern Beach. Eastern Beach at High Tide. 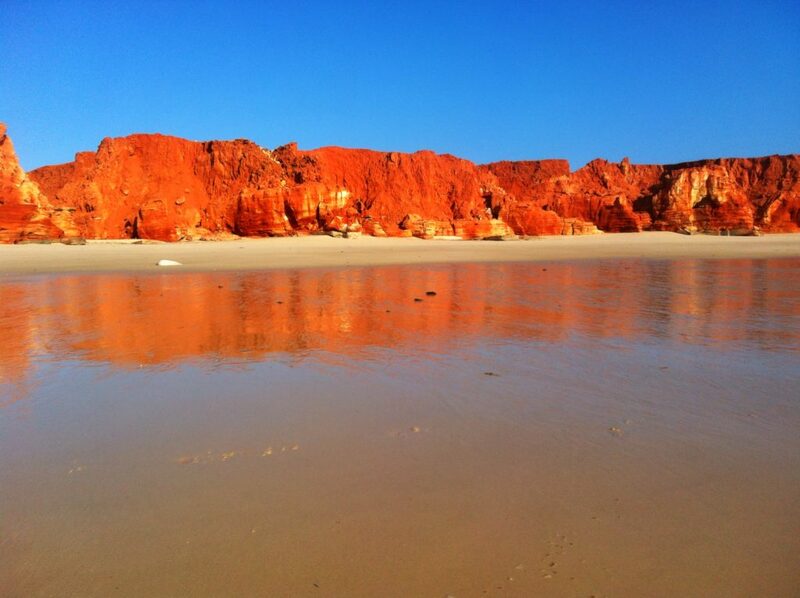 Eastern Beach, Kooljaman – Cape Leveque. Top Tip: Best time for swimming at Eastern Beach is on an incoming tide, while the tide is high and for about 45min to an hour after high tide. Once the tide gets low there are too many rocks and you loose your nice sandy bottom. 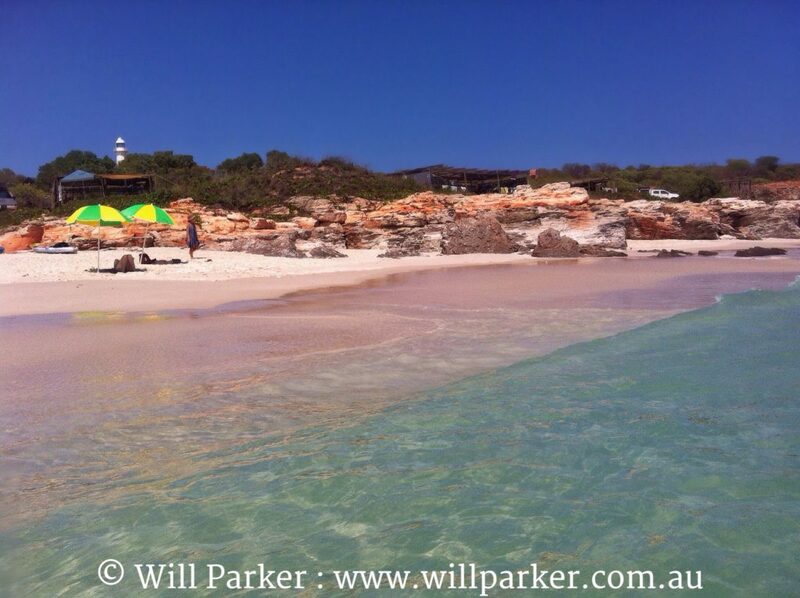 Now’s the time for a walk, snorkelling or a sit on the beach. Several options here. Four wheel driving is allowed around to the bay area beyond the eastern beach. 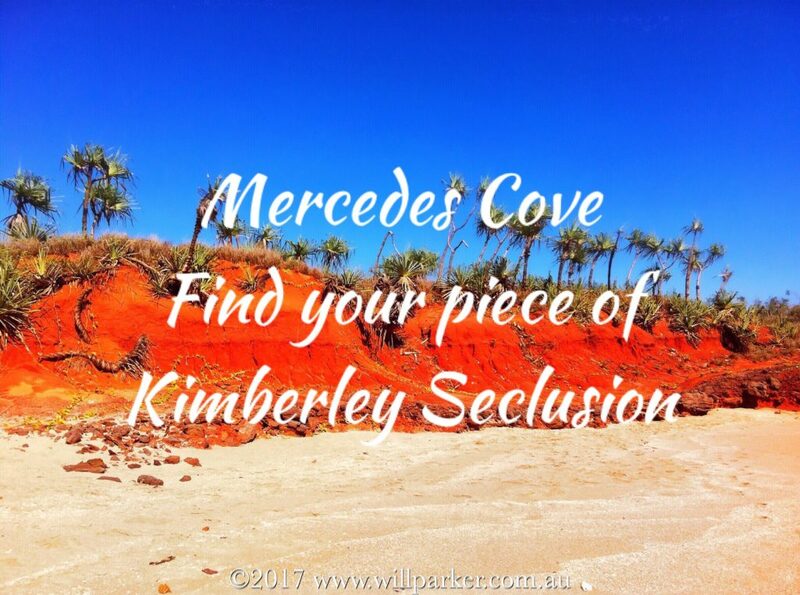 It is a very soft sandy track to reach this part of the beach and it is recommend tyre pressures are dropped to 18psi before making the trip. 300m around the bay beach is a set of bollards, these mark the end of the track. This beach is the boat launching beach and the best beach fishing beach. The beach is mostly sand with a few rocks with a consistent gentle gradient, safe for kids. Fishing can be completed on the western beach however the gradient into the water is much steeper and the drop off more severe, this beach also supports a lot more rocks that run the length of the beach making it difficult to avoid snags. Large sharks also frequent the deeper waters along this stretch of beach. Fishing on both sides of the Cape are best on incoming tides. If you have managed to crawl up the Cape road with your own boat bouncing behind you, offshore fishing awaits. Or there are charter options to be explored. Some nice walking is to be had in and around Kooljaman. If you are not keen to drive your vehicle around to the bay beach then the walk is equally as nice. 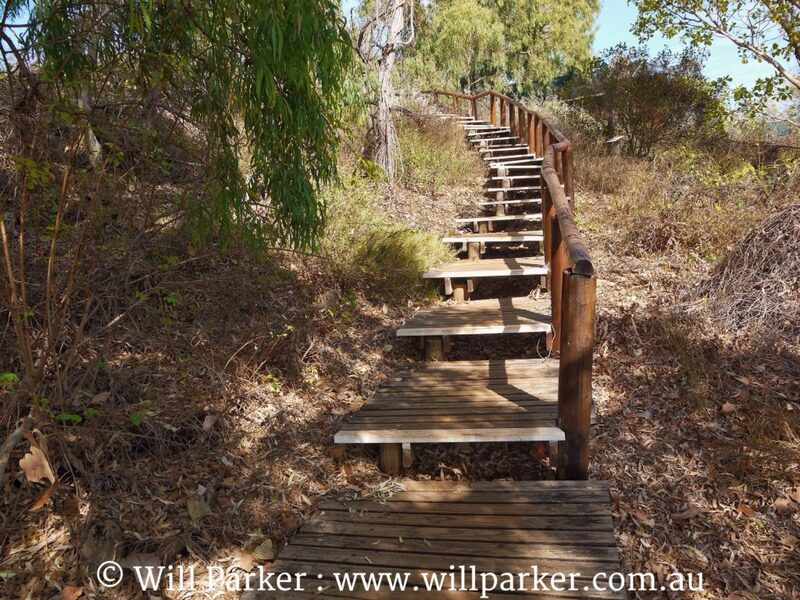 As you come down onto Eastern Beach from the boardwalk, look right or in a southerly direction. Roughly 300 – 400m down the beach is a headland. Pick your way through the rocky section taking note of the rock formations as you pass. Once through, the beach opens up and how far you walk from here is up to you. A few hundred metres down the beach are some small sand dunes where red pindan sand meets the white. This convergance is quite a highlight at either end of the day. Plenty to explore as walk. Top Tip: If you happen to trudge your fat bike all the way up with you, this walk is an equally good ride, at low tide when the sand is hard. The walk around the Cape is beautiful from the eastern beach to the western beach. This walk can only be completed at lowtide, and is well worth the effort. The walk along the western beach at sunset is stunning, the ever changing colours in the rocks over one shoulder will torment you as the sun sets over the other. It is a wonderful experience. Top Tip: Which ever way you choose to walk this, keep two things in mind. One, the walk back to your accommodation from the Western Beach carpark is a bit of hike, especially after the walk you’ve just completed. The Cape: East to Left, West to right. Enjoying the walk along Western Beach. And two, the Western Beach is best viewed in the late afternoon. My recommendation pick a late afternoon low tide walk from east to west and have someone meet you there with the sunset drinks and nibbles. The eastern beach has plenty to offer too, long white sandy stretches with small yet attractive dunes. 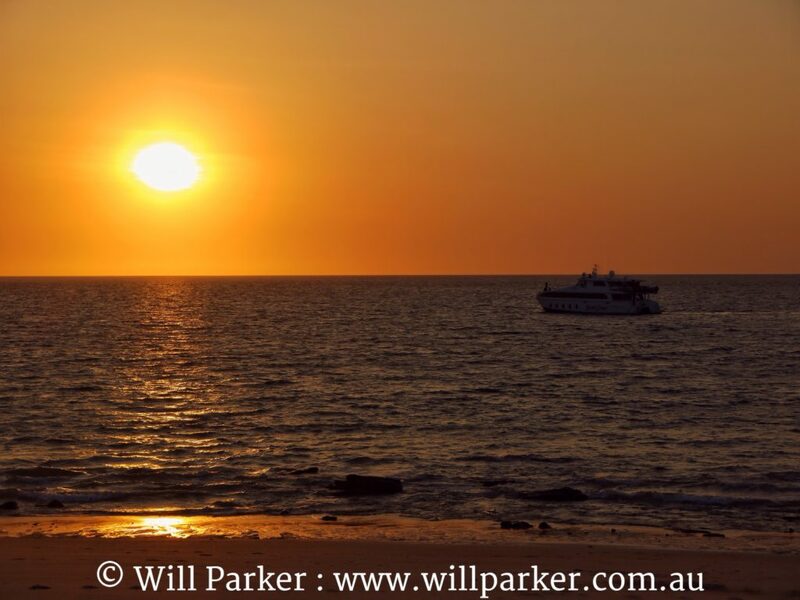 If the western beach is beaut at sunset then the eastern beach is equally nice at sunrise. TopTip: The cliffs are not for climbing. The cliffs along the western beach and the cliffs at the end of the eastern beach are important Aboriginal areas. Look, admire, take a picture just don’t climb. Also the dunes at the far end of the eastern beach are very important areas. The two surrounding Aboriginal communities of Djarindjin and Ardyaloon (One Arm Point) jointly own Kooljaman, making it 100% indigenous owned. The communities have developed the camp in line with the communities’ aspirations and their inherent knowledge of the land. Hence there are some great opportunities to immerse yourself in this. The following tours are a wonderful starting point. See the sun rise and set over the ocean, a unique experience. The eastern side of the Cape provides beautiful sunrise and pre–dawn opportunities, soft pastel hues will delight. Afternoon and sunset are spent on the western beach. This engages with many points of interest. Signature Kimberley red pindan cliffs blaze a line cut clean against the white sand and engaged with whatever mother nature presents in the sky. Then you also have the sunset proper. When you are wandering around Kooljaman, don’t discard mid–morning on a highish tide the colours can be eye popping. Wildlife will present itself often when you’re least expecting it – birds, dolphins, frogs, goannas, and whales in season (July – September) can be snapped. 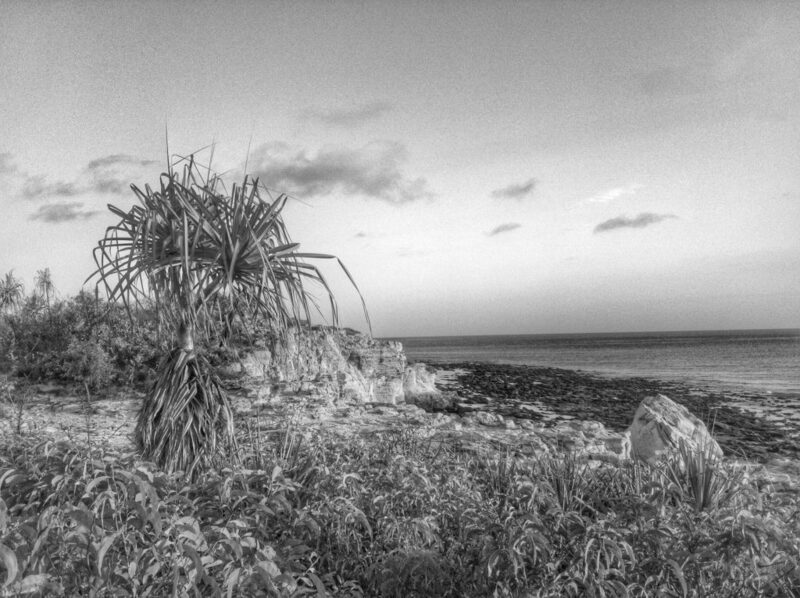 Top Tip: Whether you’re shooting a sunset or a black & white landscape with a pandanus, you’re sure to find plenty to inspire you. 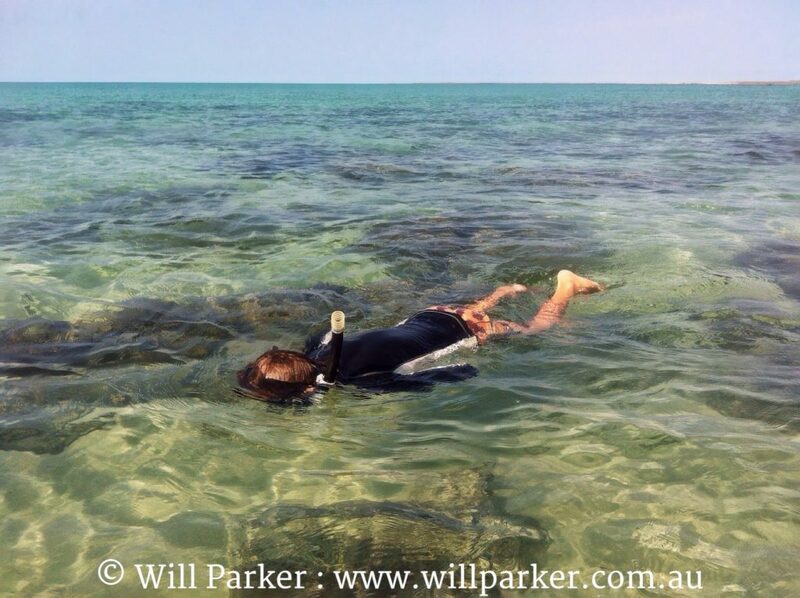 Off the eastern beach on low tide there are some very accessible reefs which are well worth the effort for a snorkel. These areas are kid friendly, however I highly recommend an adult tags along. Even if the kids are a little older, Kimberley tides turn quickly and move fast. Extra eyes above the waterline is essential. No boat needed, straight off the beach. 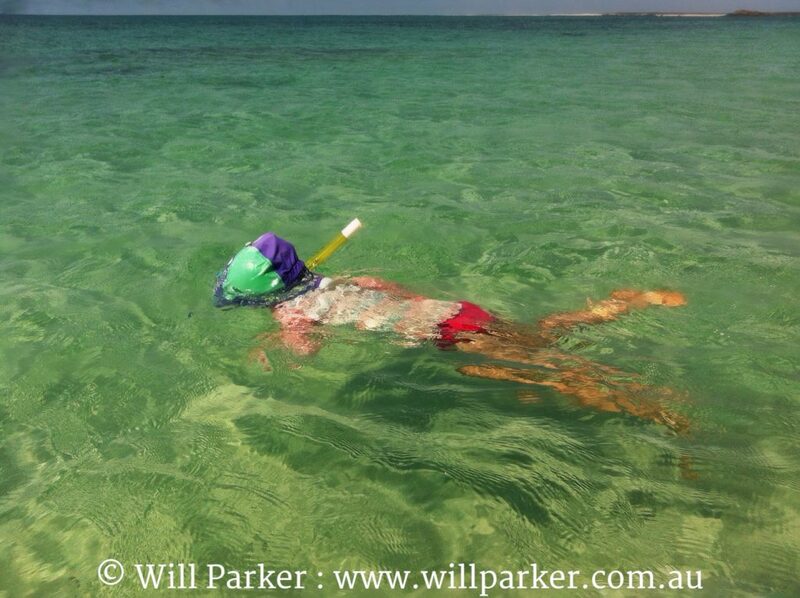 Top Tip: Both kids had a great time snorkelling at varying depths, my older boy out deeper, my daughter in shallower. Under supervision but with freedom to explore in safety. 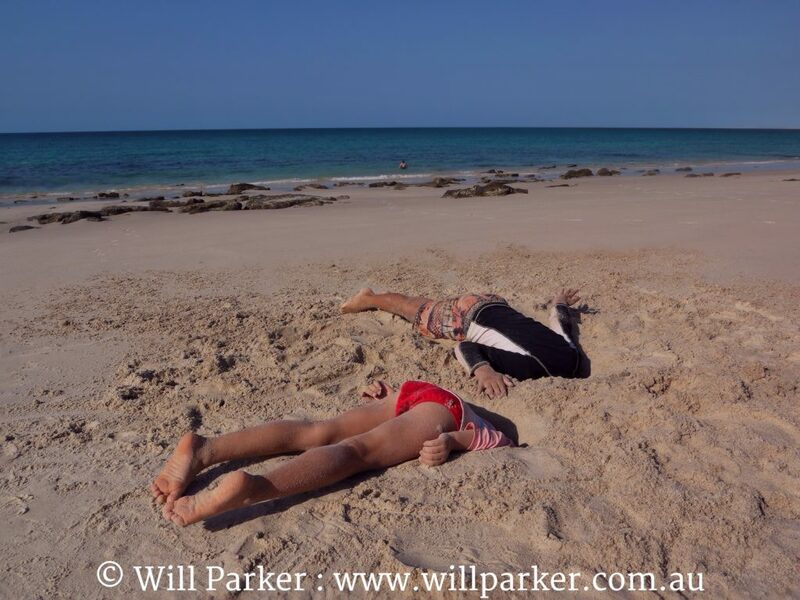 Top Tip: Best time for snorkelling on Eastern Beach is on an out going tide. Roughly two hours before dead low. Should the opportunity present don’t pass it up. Getting up in the air presents a whole different outlook. Shapes, colours, contrasts and perspective. A flight is another alternative to get to or back from Kooljaman. 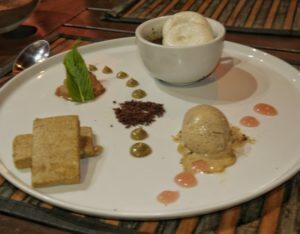 If you enjoy food and it’s part of the traveling experience, or perhaps you just enjoy a treat on the last night of your stay, Kooljaman has your back. Raugi’s restaurant http://www.kooljaman.com.au/dining is located overlooking the western beach. With stunning views, a Michelin trained head chef and breathtaking dinner, sunsets are fused with traditional bush flavours and ingredients. Some you may not be familiar with, a unique experience in a remote location is assured. For those romantics without kids feast your eyes on the Bush Butler service. Have a feed cooked up and delivered to the serenity of your private balcony. Don’t lose sight of the view for a minute, take–out Kooljaman style. Like the idea, breakfast baskets also available. 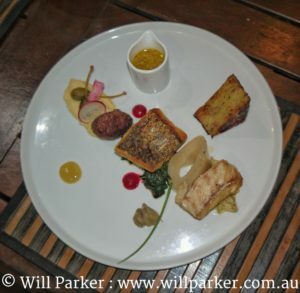 Entree – In three course Meal. 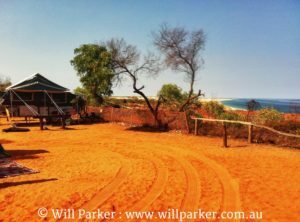 Kooljaman at Cape Leveque is an off–the–grid wilderness camp located on native title land sustained by solar power and local bore water. 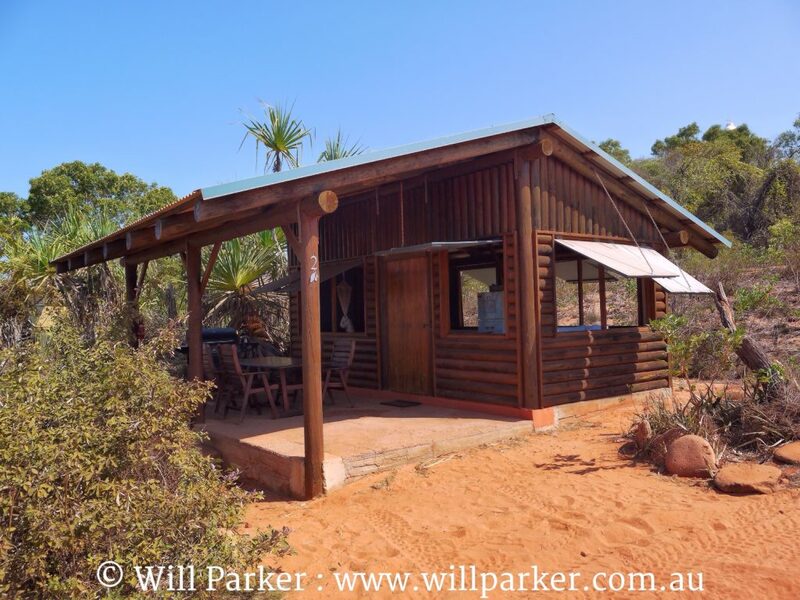 The low–impact accommodation has been specifically designed to capture the rugged character and beauty of the Bardi Jawi country. Wandering around Kooljaman everything is low key, set back – almost inviting nature to hide it, ensuring nothing distracts from the renowned and truly unforgettable coast. Staying at Kooljaman one has many options for accommodation. 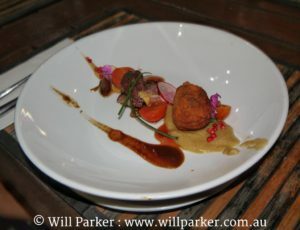 Something to suit every taste, budget and requirement. 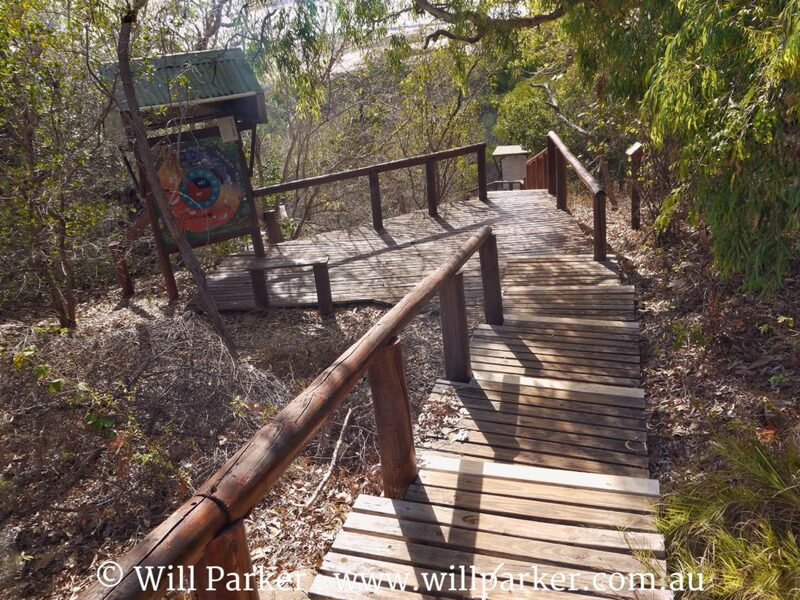 There is a fantastic boardwalk that links all parts of the camp, its like the main central artery. Starting in the camp ground not far from the main reception/restaurant, it meanders up over the hill past the lighthouse and down the other side, finishing at Dinkas Cafe. From the cafe a further 50m or so across a car park to another short boardwalk on to Eastern Beach. Total distance of the boardwalk is roughly 150m, it has a reasonable gradient to it and a few spots to sit down and rest if you’re feeling the pinch a little. Heading down the hill towards Eastern Beach. Heading back up the hill from Dinkas Cafe. All the options of accommodation filter off this boardwalk at varying distances, so depending on what you choose and your inclination, it is possible to pretty much park your vehicle for the majority of your stay and walk to most places. Top Tip: When considering which accommodation to choose, ask yourself the question how much do I want to drive my vehicle, and do I want to be able to walk to the beach. Long white pristine sandy beaches stretch out either side of the Cape. 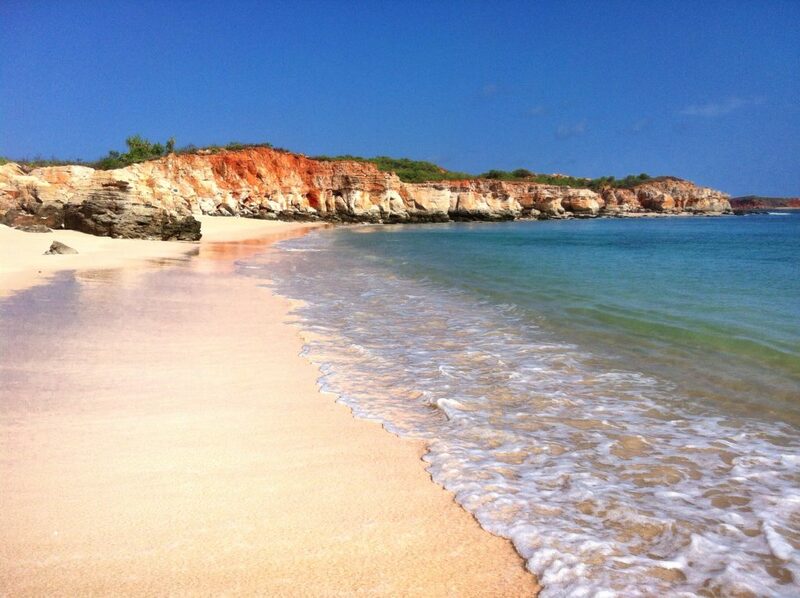 From whichever accommodation option you find yourself in, it is a 10 min or less walk to one of these beaches. These two options are the top of the range at Kooljaman and both offer roughly the same thing with ever so delicate differences. 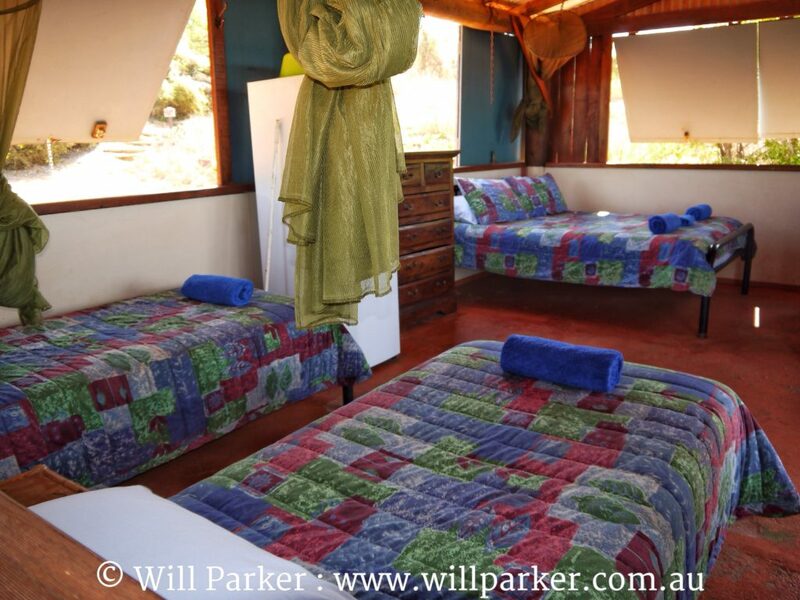 Both offer a wonderful experience, in great locations within the Kooljaman camp. All the necessities are provided, so you really do need only keep your packing to a minimum. 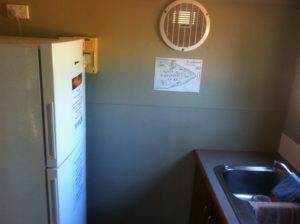 Both have a fridge/freezer and BBQ with all cooking equipment, cutlery and crockery. Self catering is easy. Both have a spacious deck with room to move and no matter where you sit you seem to always be pointing in the right direction to catch the views. All linen and towels are provided. Really, all you need is clothes, food & drink. The differences in the two are in the name. Deluxe is suited to couples with a king size bed and a couch. The family option has a queen size bed and two singles, no couch. The deluxe option has an ensuite, the family option has a private bathroom. And finally in the deluxe option you face the western beach so you will enjoy the sunsets. 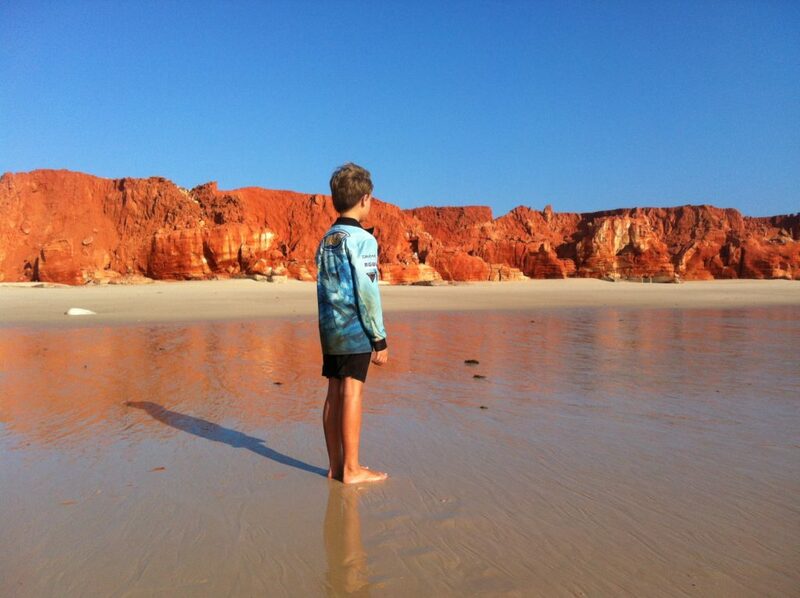 In the family option you will face the eastern beach and enjoy sunrise and moon rise. 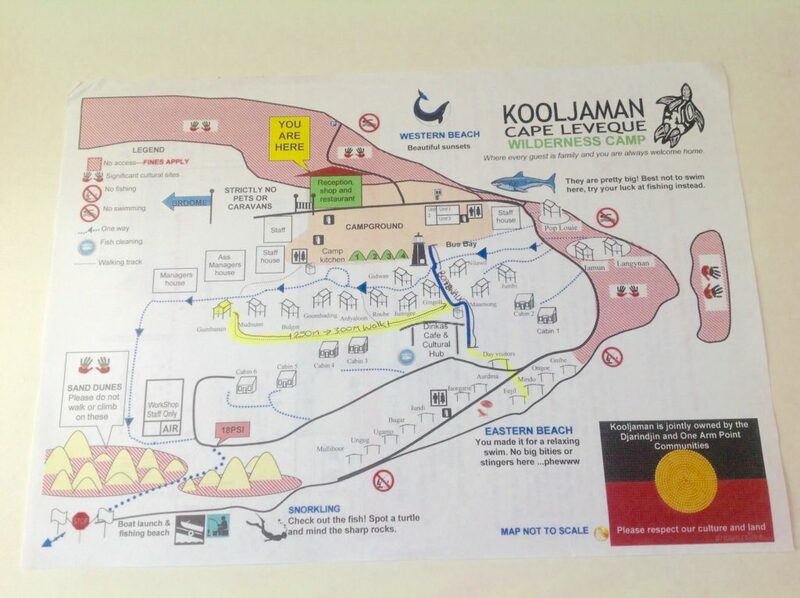 Map of the Kooljaman camp you’ll receive when you check in. 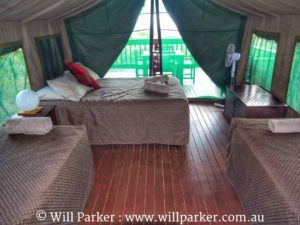 For this trip we stayed in the Family Safari Tent – Gumbanan. The tent itself was wonderful and the view was captivating, sunrises & moon rises. Tools were downed to watch. The only problem we found with it was, as a family with two kids who are seasoned travellers and walkers we were too far away from the beach. The walking track leading from the safari tent to the boardwalk was a very undulating soft, sandy, hot track of roughly 300m one way. Completed a few times a day over our five day stay it became difficult. In future I think I would request one of the safari tents closer to the central boardwalk. 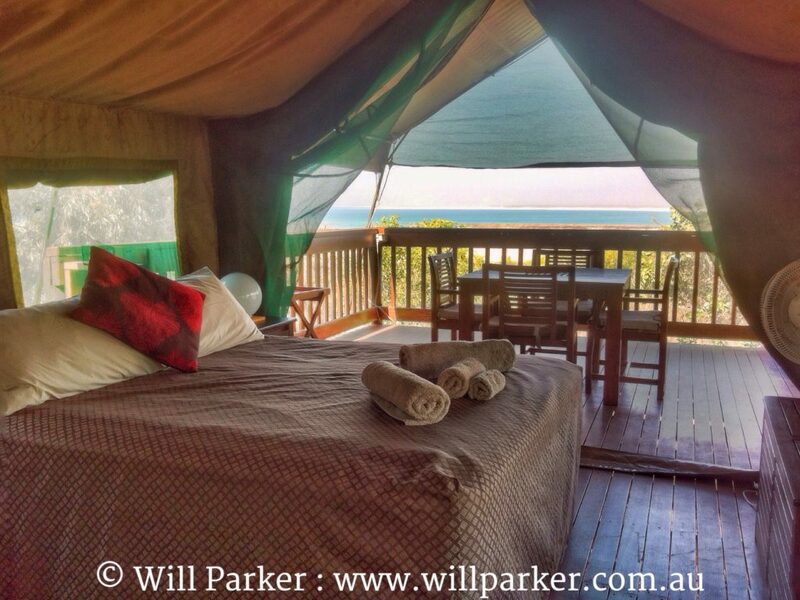 Family Safari Tent, view from bed & deck. Family Safari Tent sleeping layout. From deck looking through to kitchen-bathroom. Elevated into the hill side at tree level. Top Tip: The fridge in the kitchen of the family safari tents is of a good adequate size however if you’re a family of four planning on staying for three or four days and self catering you might struggle to fit everything in, tucker and drinks. Take an Engel with you for drinks. Between the two you should get by. 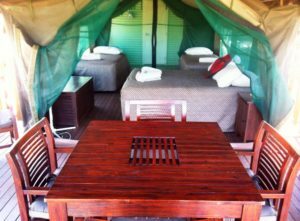 Top Tip: The Deluxe Safari Tent-Pop Louie is somewhat separated or hidden away from everything else to ensure privacy. However because of this seclusion you will have to drive to get to both the Eastern & Western beaches. These camp ground units have everything you would have at home, you don’t want for much in these guys in the convenience stakes. Air conditioning, satellite TV, fridge/freezer, BBQ. Perhaps the only draw back with these is they do not have their own bathroom. Bathroom facilities are shared with the campground, however all linen and towels are provided. 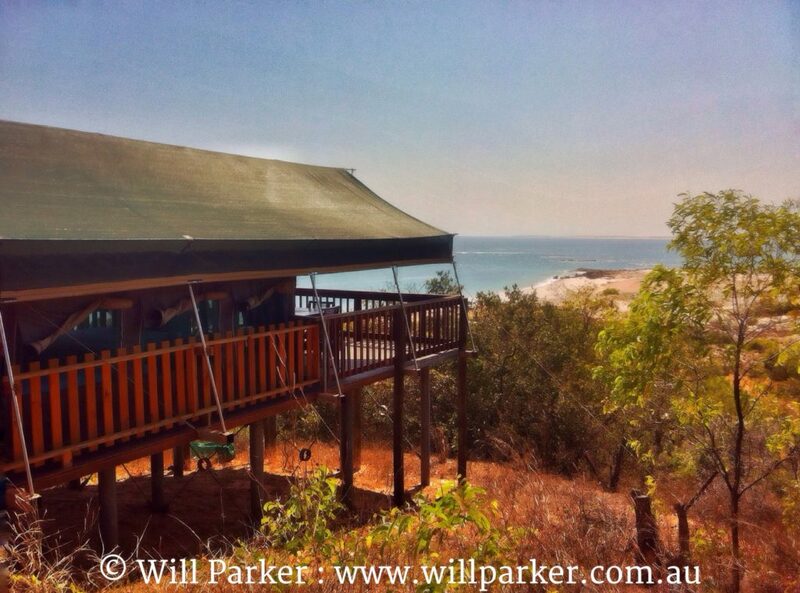 These units would be a nice retreat during the build up or wet season months. These two options are real rustic treasures, which allow you to relax and enjoy the simple pleasures. Both are almost identical with the slightest differences. 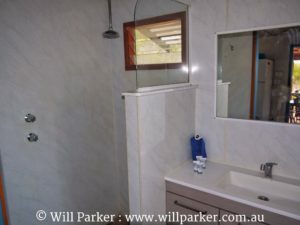 The ensuite cabin has its own ensuite bathroom, whereas the log cabin has a shared facility with the neighbouring log cabin. And the ensuite cabin has three single beds & the log cabin has two. Both cabins have a queen bed as the main bed. They are the only differences. Both are located on the eastern side, very close to the eastern beach. Both are well set up for self catering, with everything you will need. They are well ventilated with fans provided. All linen and towels are provided, minimal packing required. Sleeping configuration – Log Cabin. Sleeping configuration through to ensuite. Ensuite in Ensuite Log Cabin. A great option for those who just want a bed. with no gear and minimal supplies, plans on buying a few feeds at the restaurant and doesn’t need the bells & whistles of any of the bigger options. 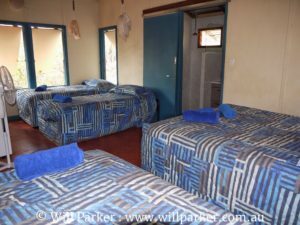 They have a comfy bed, linen & towels provided. Shared bathroom facilities with the campground and are located centrally close to restaurant, boardwalk and entry down to the western beach. Top Tip: The track up the Cape is not caravan friendly. Only the most robust off road camper trailers and specifically designed off road caravans will survive the journey. Space is of a premium in campgrounds up the Cape. Please ring ahead and discuss your needs before departure. There are some great options here for the self sufficient traveler. With three options available – powered & unpowered sites in the main campground, and the beach shelters which overlook the eastern beach. 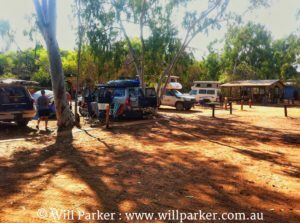 Camping Ground-Camp Kitchen to right. within the main camp ground are 4m x 6m, your camp including your vehicle has to be set up within these dimensions. There is limited power available to each site, enough to run a fridge and lighting. The powered section of the campground features two shared amenities blocks and a well maintained camp kitchen. There are only 25 sites on offer so booking well in advance is advised, especially between the months of April – September. There only a handful of sites. Check out the view. are the same dimensions as the powered, the same rules apply, everything must fit within the boundaries of your site. They have their own amenities block and camp kitchen. With just four sites available, they are at a premium. These sites have incredible views out to the western beach. These sites can be booked a year in advance, so enquire with optimism rather than expectation. The campground areas at Kooljaman are the furthest accommodation options from Eastern Beach, that being said they are right on the door step of the Boardwalk. I generally write from a family perspective so if you have a mob with a bit of gear and struggle a little to keep the pack light, then the boardwalk option might not be seen as fun. Having said that, it is achievable. Walk vs vehicle option depends largely on your inclination. 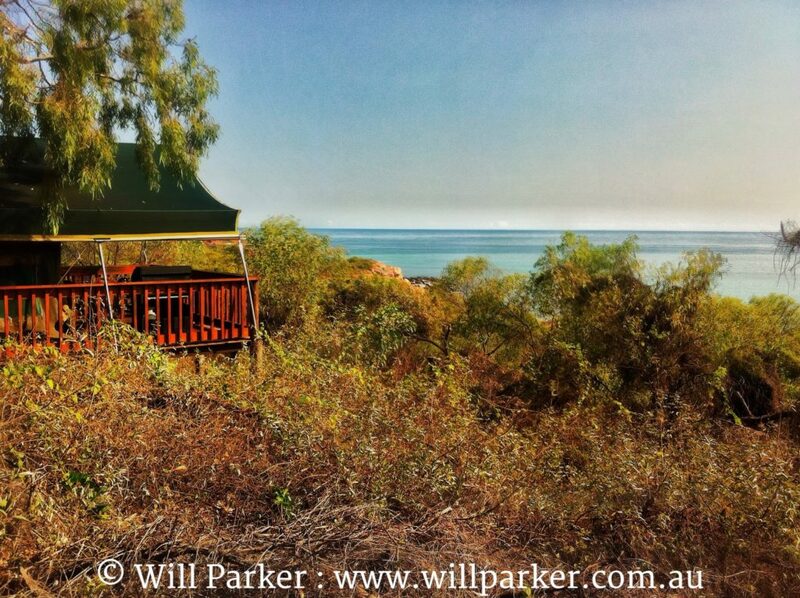 Camp by the waters edge with a roaring fire and a ripper view. View from water, back at cliffs in which Beach shelters sit. If you’re going to camp at Kooljaman this is the option to take. It has been popular with locals and camping enthusiasts from all parts for a long time. Camp on the sand and fall asleep to the sound of the water lapping just a few meters away, rise with the beautiful pre-dawn colours and enjoy a morning swim. View from a beach shelter. Then return to cook breakfast on your open fire. Each shelter has its own fire pit and hot plate, fresh water outdoor shower and picnic table. 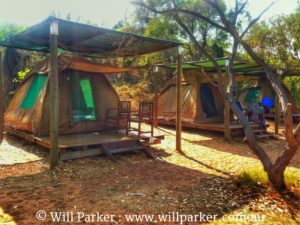 Top Tip: If you plan on parking your camper trailer up next to one of these shelters, make sure you tell them when you book it. As each shelter is slightly different in size and what access it offers. To get one that suits let them know. Top Tip: If you are staying a few nights bring extra wood for your fire. Only enough complimentary wood for one night. Top Tip: For all camping areas “No Generators” allowed. 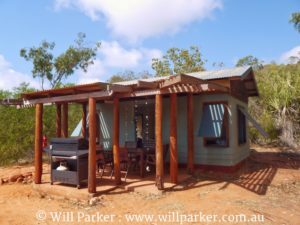 Kooljaman at Cape Leveque is open all year round, and by and large has an option of accommodation whenever you might want to visit. Having said that, in the off season or summer months commonly known as “the wet”, access can often be the issue be it by road or air. Monsoonal summer rains can often make roads impassable and cut air strips for long periods of time. The winter months between May and end of August are by far the most popular and the busiest time. The temperate northern winter is by far the favourite of southerners. For me the shoulder seasons are the best time of the year, they are a little warmer however they are a little slower and less populated as well, April – May or September – October. The last time I visited, I chilled for a week. However not everyone has that amount of time. If you’re on the clock a bit and time is an issue or you’re just not sure about being out there for too long, then three nights is a good stay. Gives you enough time to explore, play and be lazy. No WI-FI available – No stress, you’ll get a better connection without it. ATM available during reception hours. 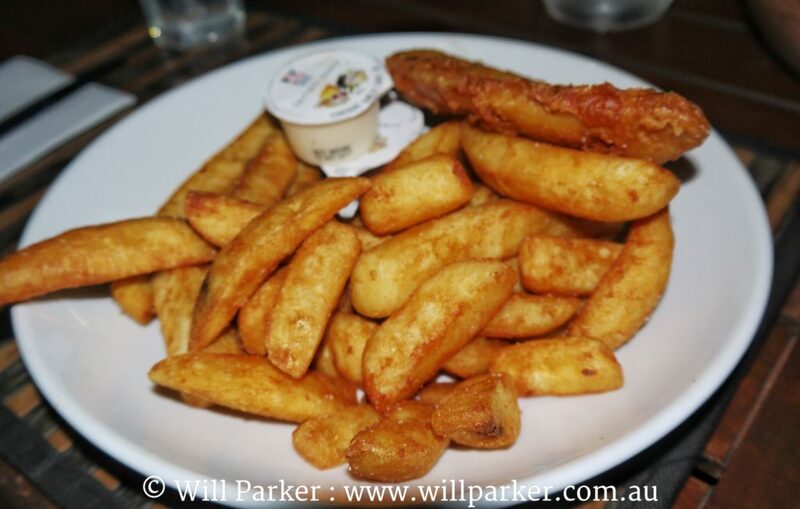 Full Visa/Mastercard & Eftpos facilities available. There is a payphone at reception, no phone cards available bring your own. Mobile Phone does work on Telstra service around Restaurant/reception area and up on hill near lighthouse. 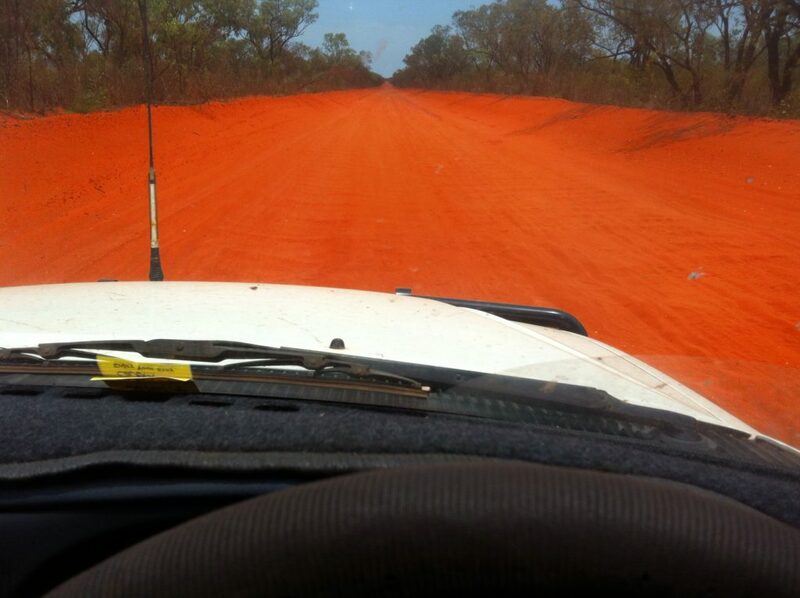 Fuel available from near by communities – not at Kooljaman – Cape Leveque. Beach equipment hire – umbrellas, beach towels, snorkelling gear. No alcohol for sale at Kooljaman – You’re welcome to bring your own. There is a small store with limited essential groceries. Ice and bait available for purchase. Are you planning a trip to Kooljaman any time soon, or perhaps you have been recently. Would love to hear your thoughts. That said if your ever in the area and have the opportunity to visit you’d have to have your head in the sand to pass it up. Kids having fun at beach. 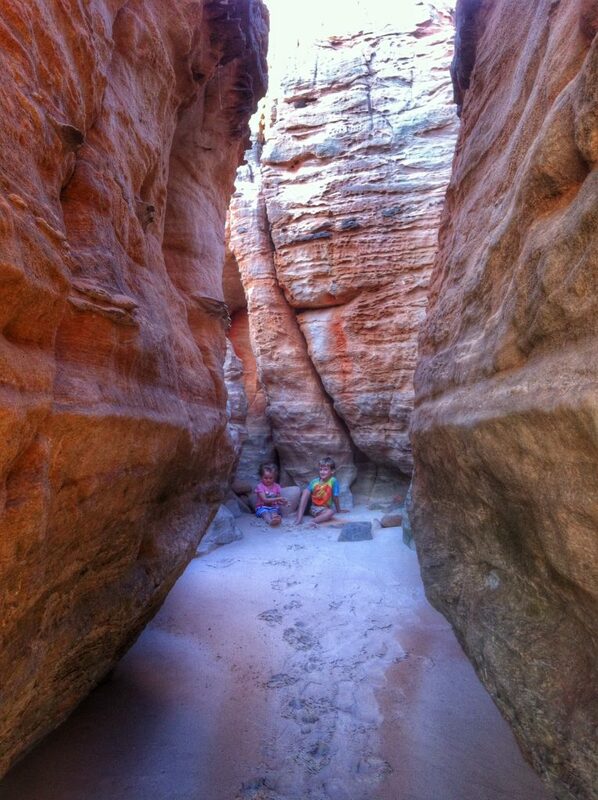 Kooljaman – Cape Leveque is a great experience that every one should have if the opportunity arises. 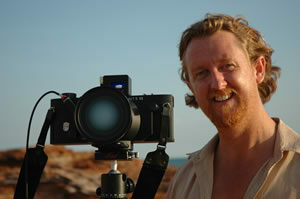 Australia is such a wonderfully diverse land; its beauty transcends many different eco systems and generations. Many of the places we visit enjoy, and marvel at today are places of creation, landscapes so old that our lifetimes are but a blink of an eyelid, and for those willing to sit around a while, what a story they have to tell. 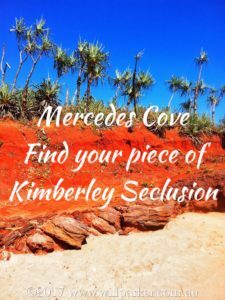 Mercedes Cove – Find your piece of Kimberley seclusion.